Bronx, NY, WPH Press, 6/6/18– World Big Ball #1 Timbo Gonzalez played the role of Maximus at Richie Vera’s Castle Hill Handball “Battle of the Gladiators,” dominating one of New York City’s 1-Wall Big Ball “Majors” at Caste Hill Park in the Bronx. Gonzalez obliterated the 76-man field in the two-day event on the first weekend in June, outscoring his six opponents by an astounding 126-35 in the Bronx romp. After crushing his first five opponents, Gonzalez would face the Gladiator defending champion Tavo Ruiz in the final. Timbo turned the one game to 21 final into an 11-minute highlight reel, dictating virtually every rally with first-strike offense, sharp angles, and several inconceivable “sky hook” fly kill roll outs. “I’ve been watching and playing against Timbo for years and I’ve never seen him play like that,” stated WPH #1 Samzon Hernandez, who made the trip from Southern California to compete in the 2018 Battle of the Gladiators. Gonzalez will now take a short break before throwing himself back into training for the upcoming 2018 USHA National WallBall Championships, starting on June 22 in Brooklyn. 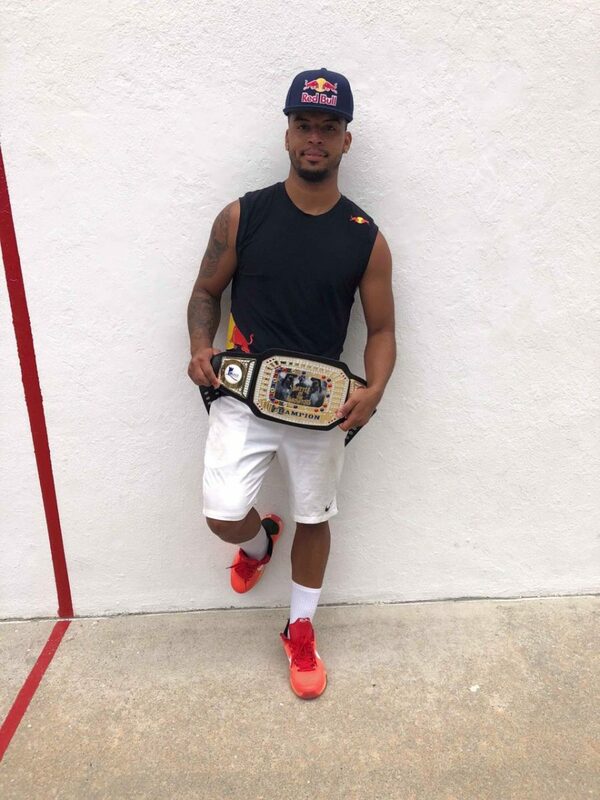 “The USHA WallBall Championships is another major and I definitely want to keep my momentum going and win that one,” declared Gonzalez. Stay tuned to wphlive.tv for all of the New York City’s 1-Wall Big Ball majors this summer, to include the King of the courts, Red Bull Slaps, the USHA National WallBall Championships, Big Blue Ballers, and the PHA Open Singles.